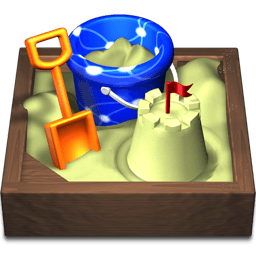 Steve Heap used Sandvox to build this website. He chose the “VueThemes - Ibiza House Music” design for the site. People may want to visit the site if they are looking for free house music downloads, house dj mixes. We offer DJs, music producers and house-heads a large collection of free house music downloads, DJ mixes, music loops and production tools. House music DJs, music producers and remix artists. My site is getting better ranking in Google than my competitors and it has a much more streamlined interface and navigability is a snap. Migrating my 500+ page websitesite from Joomla to Sandvox was a bit of a task. However, building in Sandvox was a breeze. I'm now able to update and add content relatively quickly and with ease. Running a builder locally is a snap since I don't have to wait for page load times. Plus, the integration with SEO and Google analytics and webmaster tools makes this a must have tool for anyone wanting to build a great site... large or small. I modified a template to meet my needs. The template had a good start but I wanted to incorporate a bit more pop to the site so I edited the CSS to my liking and added the background and header. I feel it has a much more modern and customized web 2.0 feel to it now.